Welcome back to Week 3 of the Advent Writing Prompt Challenge. This was another week of great topics! My pastor is funny. A few weeks ago at dinner he said that when he does marriage prep the first thing he asks the couple is what is on top of your tree? The funny thing for me is it is always changing. For YEARS we had an Angel on top of our tree. After many moves we have lost most of our decorations and toppers. Other than the angel we have had a santa clause (hey it lit up and moved! ), and several different stars (one was so cheap looking probably from the dollar store but it was all we could afford at the time). I’m sure we had some others over the years but I cannot remember. I remember when I was little my daddy would say some kind of blessing/prayer before he would lift me up to put the angel on top of the tree. My mom says he had a book of blessings and would pray over everything…apparently that is where I get it from. Every year the city of St. Augustine puts up tons of lights around town and you can take a trolley ride that plays christmas carols as you ride around town. You also get these cool glasses that make all the lights snowflakes or reindeer. It’s cheesy but it’s always a lot of fun. I also plan on driving around town and find some christmas displays to go see. 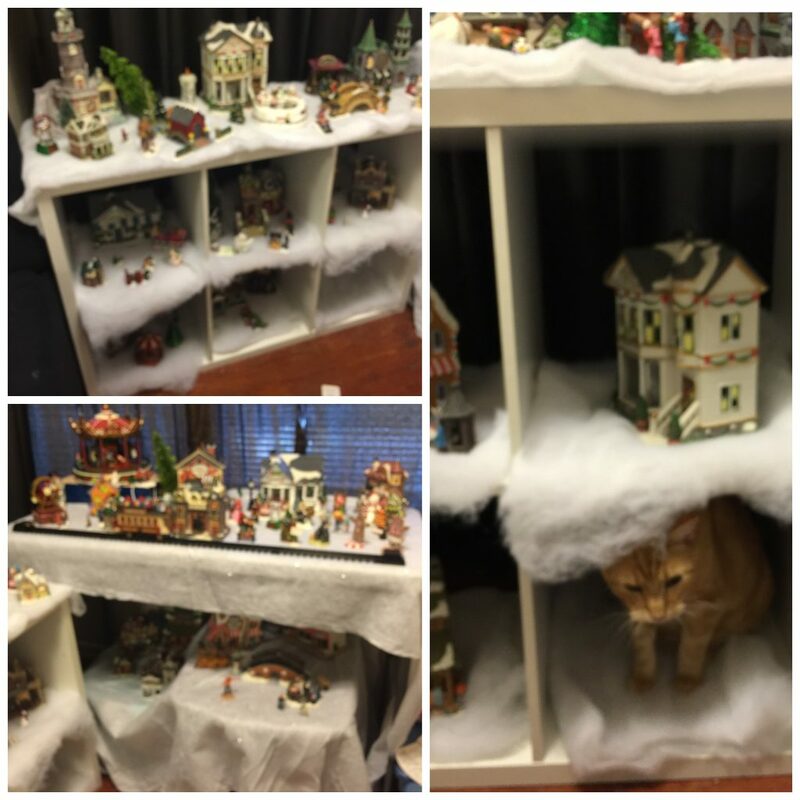 I am very proud of my Christmas Village this year. This is only my third year and I feel I have finally figured out how to set it up to look realistic and pretty and cute. I’ve added tons of snow, lights, and hills. I also love the edition of the ferris wheel and carousel. Some are plastic toys and others are glass statues. Some are missing baby jesus. My favorite ones are living nativities with live animals. No matter what your nativity looks like it is the reason for the season. Without the nativity we wouldn’t have anything to celebrate on December 25th. The nativity represents the story of The First Christmas. This week the children re-enacted the first christmas. It was a cute play, the kids had fun, and the teachers and parents were very impressed. The kids are already talking about which character they want to be next year. The directors are already talking about how they can improve the props, stage, and little things that we didn’t do this year. I hope you all have a wonderful Christmas Season and Pray in front of the nativity. Sixteen Lines is a lot longer than I thought it would be. Since Thursday is Christmas Eve I am going to post the link-up on Wednesday next week so we can get this up before any family time and Christmas get togethers/craziness we have. Next week will be the last week of the #AdventPrompts challenge. I can’t believe our little link-up is already over 🙁 sadness. I hope you have enjoyed it and I look forward to doing this again during Lent.